You might have noticed the ‘matcha’ green tea swirl bread on my IG. 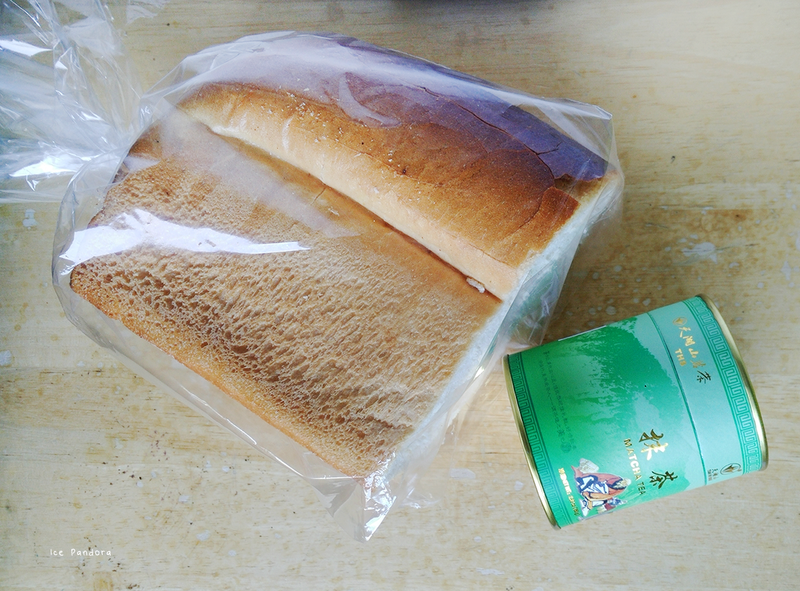 Yes, I seem to rolled in a ‘matcha’ green tea mood lately because today I’m bringing you another new form of green tea flavoured bread. 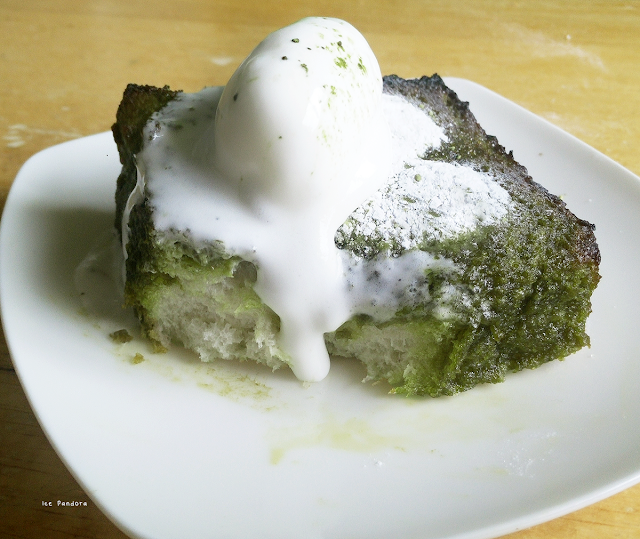 For everyone who craves for homemade matcha bread but making bread is too much of a hassle, then I have this easy and cheat but especially yum version for you: matcha green tea honey bread dessert! 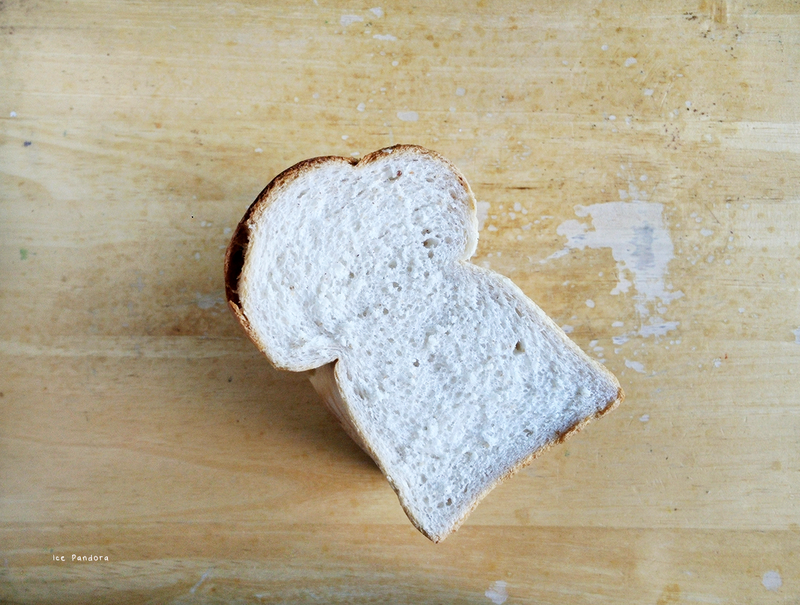 Voor de trouwe lieve IG volgers, jullie hebben waarschijnlijk de ‘matcha’ groene thee krul brood opgemerkt. Volgens mij ben ik de laatste tijd nogal in de groene thee stemming. De post van vandaag gaat namelijk ook over brood en groene thee! Eentje die jezelf kan maken en hoe makkelijk is hij! 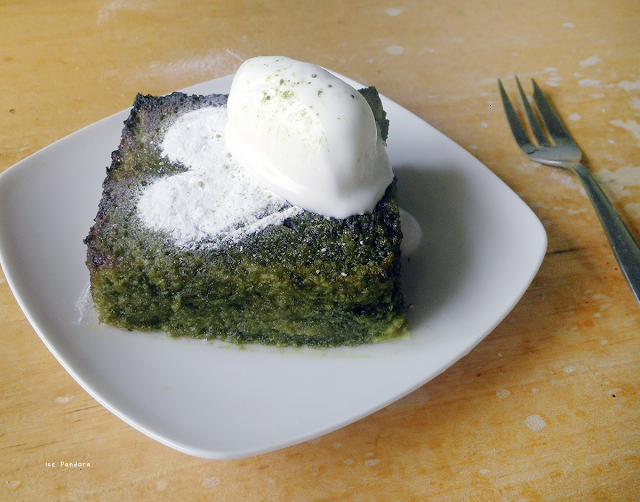 Perfect voor iedereen die naar zelfgemaakt brood snakt maar zelf brood bakken te veel gedoe vindt: ‘matcha’ groene thee honing brood dessert! Snel, makkelijk en vooral erg lekker! Pssssst! 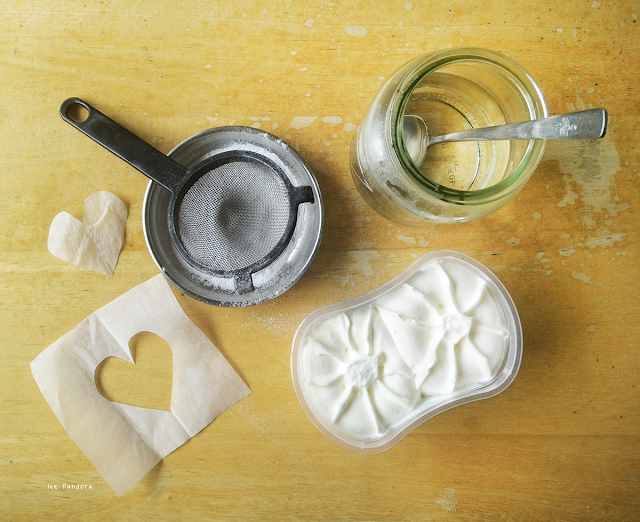 Truthfully I've stolen used this genius recipe by ohhowcivilized. Still pretty proud of the not perfect 'quenelle' (quenelle = a fancy scoop of ice cream shape)! Melted butter + cacao powder, mix, brush, toast, done! 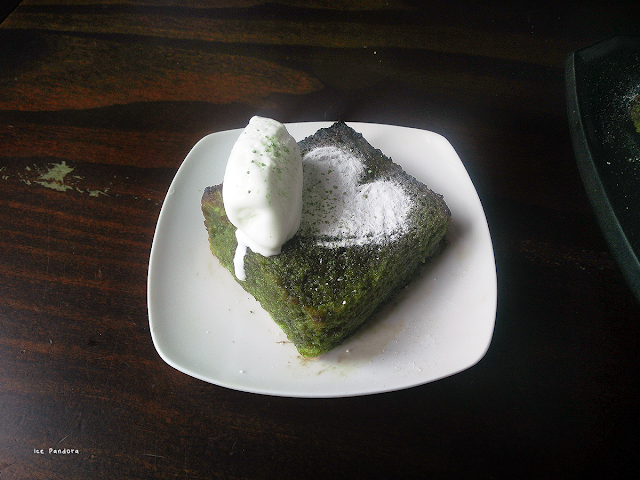 Quite indulging this sweet and bitter 'matcha' green tea toast dessert! 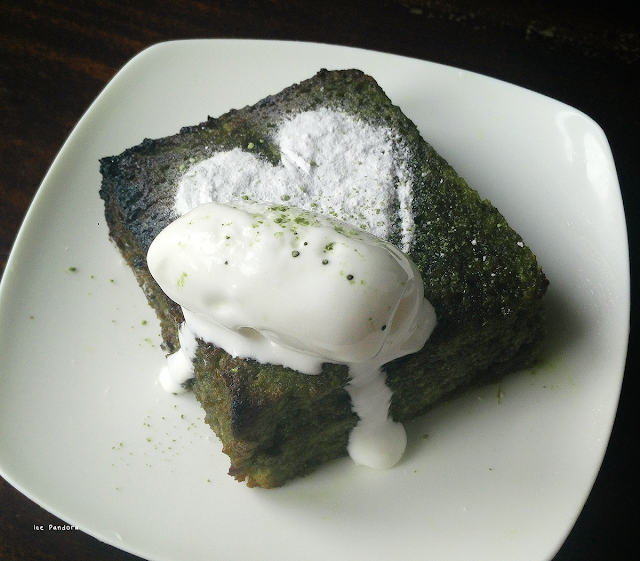 For every green tea lovers out there. Pre-heat grill mode of the oven for 5 min. 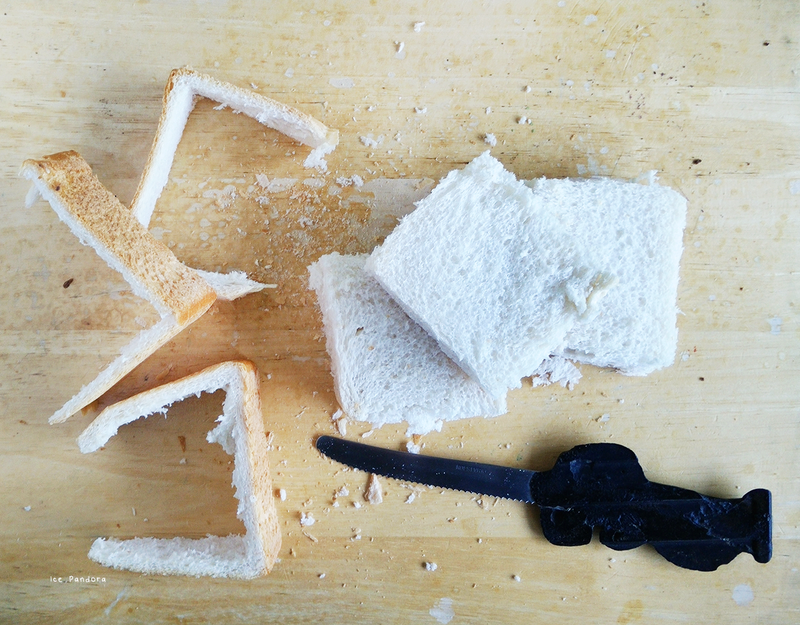 Slice the bread in nice squares and cut off the crust. 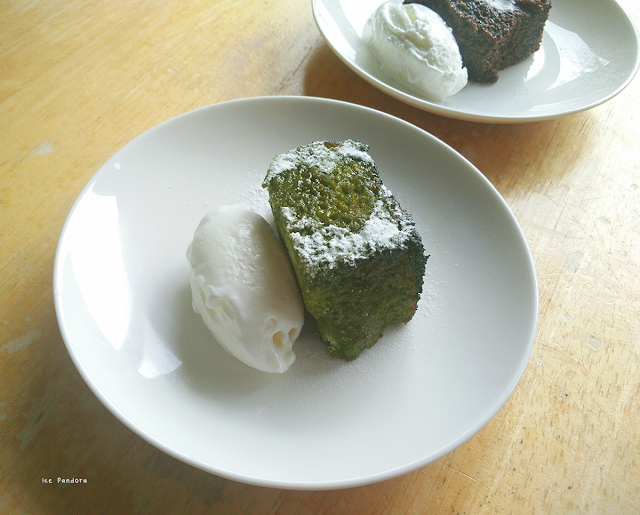 In a bowl combine melted butter + honey + (sift in) matcha green tea powder until everything is well combined. 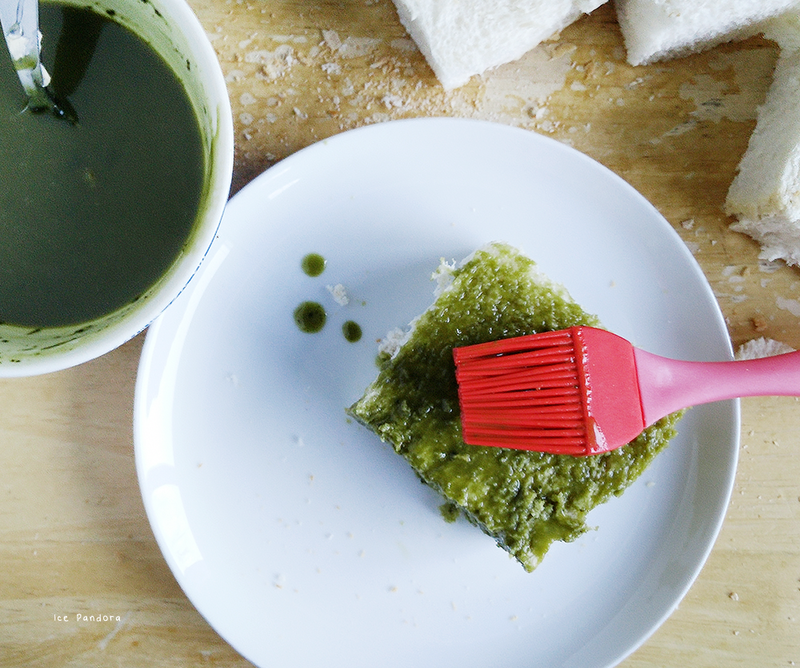 Brush layer of the green tea butter mixture on the bread squares except the bottom. Place the green tea'd bread on the (upper) rack and toast them for about 2-3 min. 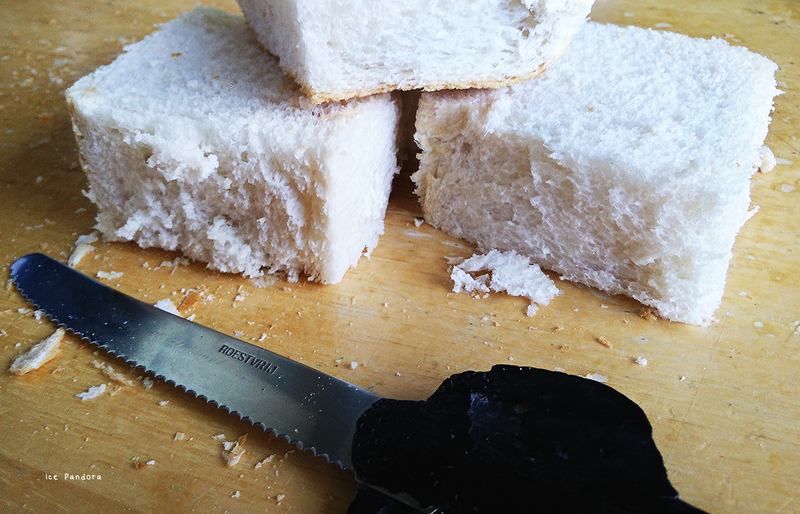 until a brown crust forming the edges. 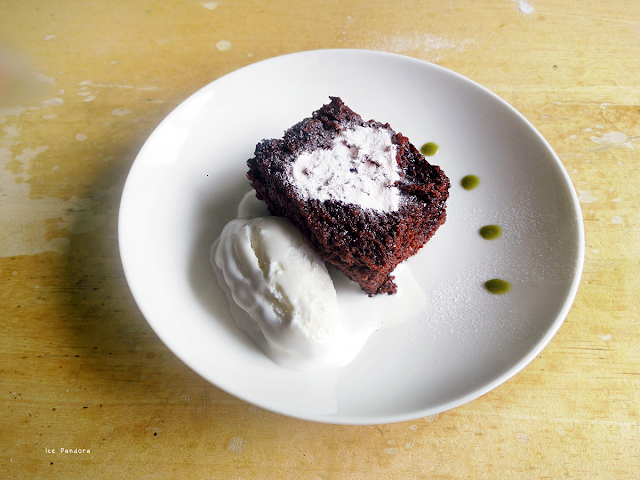 Garnish with icing sugar and ice cream! This is such a cool idea! 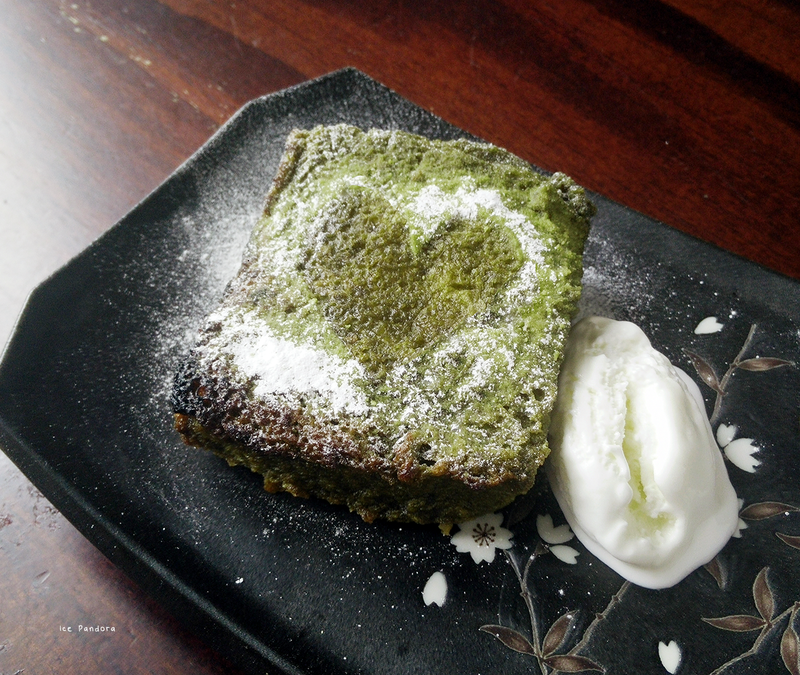 I love matcha! Definitely want to try the chocolate version too! This sounds so super yummy! Clever! 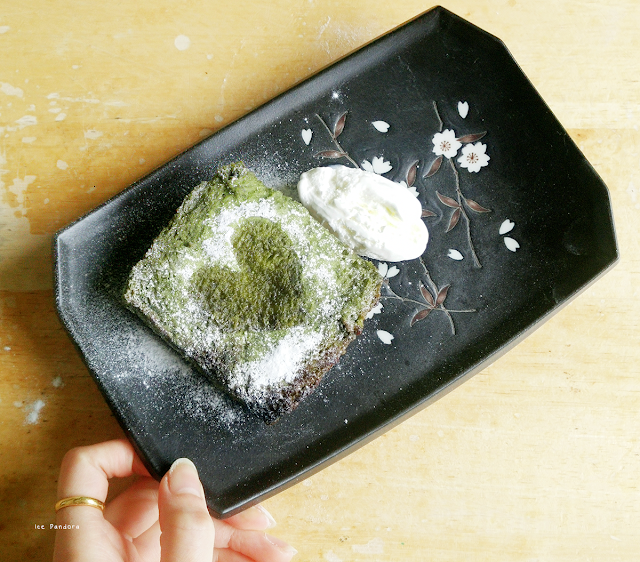 Much easier than baking the bread in the desired flavors (matcha, chocolate, etc.) from scratch!